What starts a social movement? How does it grow? How do people work with each other and inspire others to join? 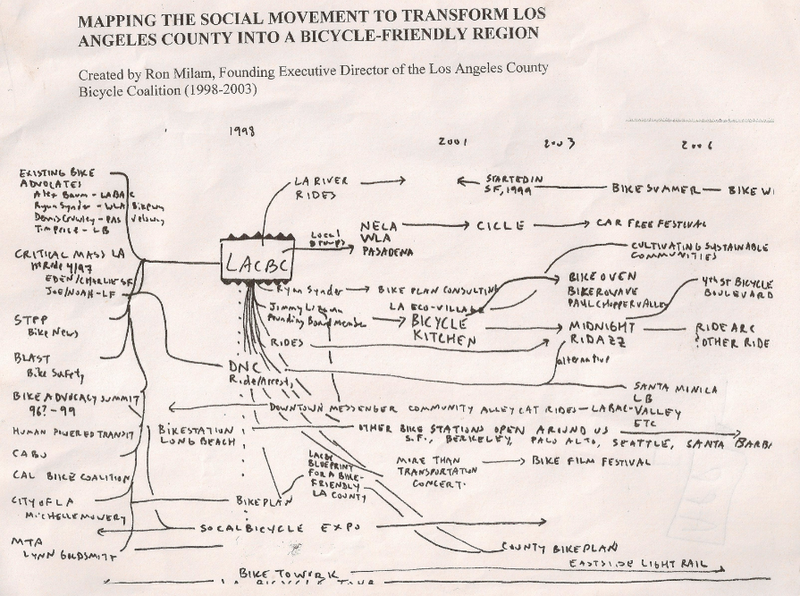 I’m excited to facilitate a dynamic discussion on Friday, April 12th: Building a Bike Movement in Autopia: An Experiment in Group Ethnography (1997 to the present). Together, we designed an interactive evening. 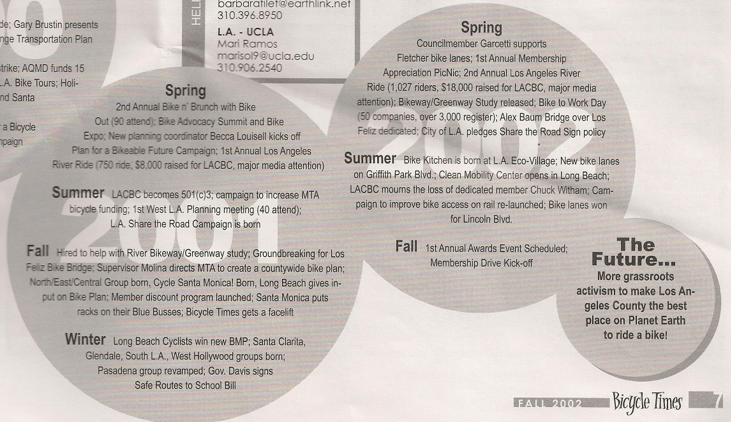 To start, we’ll hear from some local legends sharing their stories of key milestones that grew the bike movement in Los Angeles. We’re defining a milestone as something that happened that built momentum for other things to happen, ultimately creating a movement that in turn shaped a larger culture change. Rather than a traditional panel format, we will start with one person telling their story of the bike movement and reflecting on a key milestone. After that person has talked for a few minutes, another panelist is invited to add onto the conversation with a “Yes, and…”, and then they begin sharing their story for a few minutes until a panelist who hasn’t spoken yet hears something they relate to, and say “Yes, and..”. 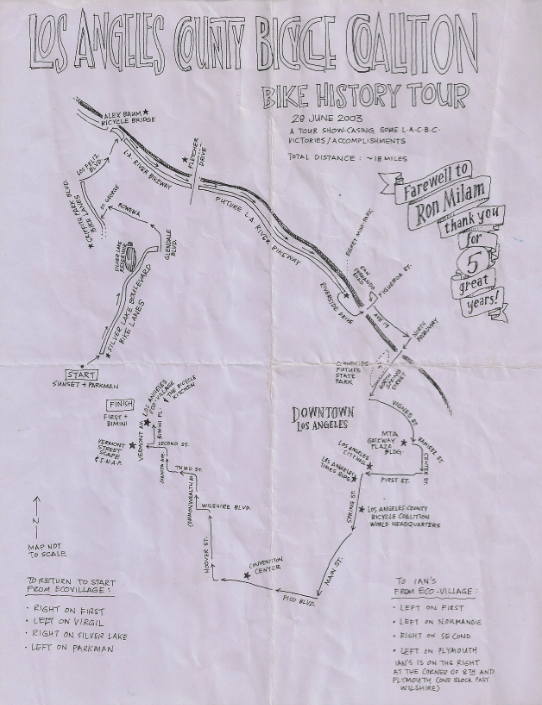 The idea is everyone participates and builds off of each others’ stories to tell the larger story of the bike movement. I’m excited! This format facilitates the generation of “our story” vs. “my story”. This format was inspired by a fun “Yes, and” improv exercise I did with the Pablove Foundation at their staff retreat. 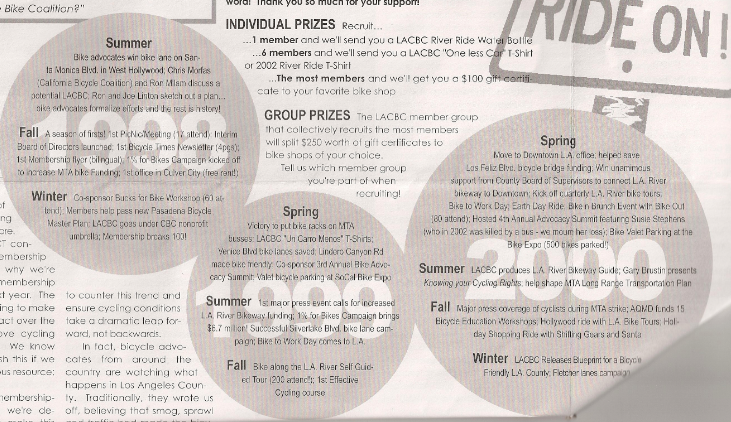 The challenge with this kind of event is that there are so many people who have contributed to the bike movement that narrowing it down to a handful will by no means tell a definitive history of the movement. But together, the idea is to weave together a story with some shared themes to better understand the overall movement. This is where everyone else who attends the event comes in. We designed the evening to have an interactive portion where everyone who attends is asked to add their own milestone to the timeline (which we’ll have posted on the wall). The idea is for discussion to follow between participants, panelists and researches in small, informal discussions. After that, we’ll reflect together on common themes. I invite you to attend. 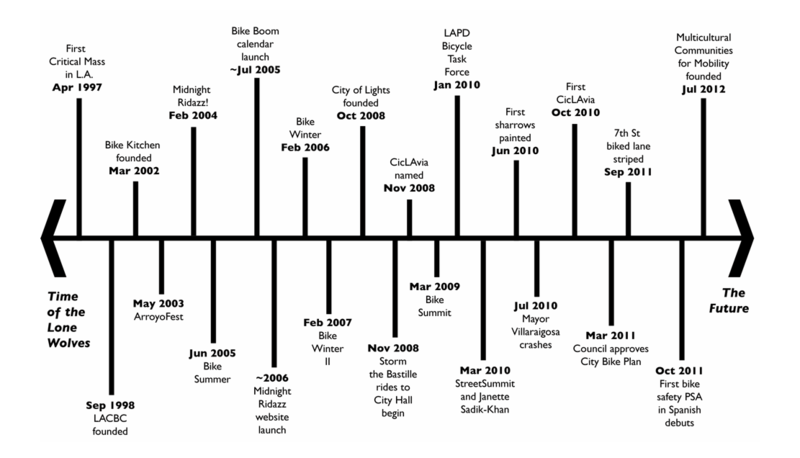 All of this is helping create an actual timeline that charts the history of the bike movement in Los Angeles (here’s my six reasons making the case for LA being a bike city). I’m super excited to facilitate a panel with folks I have such respect for and am excited to experience the learning that comes through this conversation. This entry was posted in Collaboration, Sustainability and tagged Collaboration, Community, Facilitation, Leadership, Leadership Development, Sustainability. Bookmark the permalink.